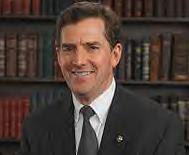 "Jim DeMint [pictured], along with most social conservatives, demonstrate irrationality when they make arguments based on their religious beliefs. What does sexuality have to do with a person's ability to perform his or her job? Does a straight teacher perform any better than a gay teacher? Can a single conservative refer to a study that indicates that homosexuals have some sort of mental disability that hinders their job performance? Of course not." During an interview with Bloomberg's Al Hunt, South Carolina Senator Jim DeMint said he would find it troublesome if the country elected an openly gay president. "It would be bothersome to me personally because I consider it immoral," DeMint said during the interview. When the issue of gay marriage came up, DeMint did not hold back from denouncing the notion. "Marriage is a religious institution. The federal government has no business redefining what it is. Governments should not be in the business of promoting a behavior that's proven to be destructive to our society."